The same contractual obligations require that we have a statement of intent regarding these developments in place and publicised by 30 September 2014. Please find the practice's statement below. From April 2015 new government guidelines require that all patients are assigned a ‘Named GP’ who will have overall responsibility for the care and support they receive. Selborne Road Medical Centre is pleased to announce that all patients have now been allocated a named GP. Patients over the age of 75 have already been informed who their Named GP is, and we will be informing the remaining patients over the coming months. The surgery will use a variety of methods to let patients know which GP they have been allocated. We will send SMS text messages to those who we have mobile phone numbers for, print messages on prescriptions, and inform people in person. If you have not yet been informed and would like to know who your Named GP is, please enquire at your next routine contact with the surgery. What does having a Named GP mean for me? Please be assured, having a Named GP does not mean that you are restricted to seeing only one doctor. You are always welcome to see any GP in the practice, availability permitting. Your Named GP will serve as a central point of contact for other healthcare professionals and will co-ordinate your care within the surgery. All our GPs have access to your full medical records, and work in close partnership. What if I want a different Named GP? Patients were distributed amongst our doctors evenly. We divided our patient list based on surname and assigned each cohort to a GP. This may mean that you have been assigned a GP you have not seen recently. You can still see your regular doctor even if they are not your Named GP. Where possible we would like to keep patients assigned to their current Named GP, however if this will cause major distress to you, we may be able to accommodate reasonable requests to change Named GPs. Please raise this at your next routine contact with the surgery. A carer is someone who, without payment, provides help and support to a partner, child, relative, friend or neighbour who could not manage without their help. This could be due to age, physical or mental illness, substance misuse or disability. Anyone can become a carer; carers come from all walks of life, all cultures and can be of any age. Please inform our reception staff if you are a carer or are cared for by another person. This will alert us to your possible needs in this role. 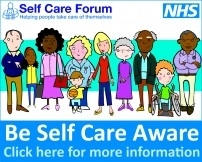 Visit the website: www.sheffieldcarers.org.uk or call 0114 2788942 for confidential advice. If you or a family member have a disability please let us know. We are able to make reasonable adjustments to enable you to have the same level of access as other patients. This could involve longer appointments, appointments at specific times, alternative methods of booking appointments, home visits, large print documents etc. Please let reception know if you have any special requirements. We have suitable access and toilet facilities for all disabled patients. We would like to know if you would recommend our Surgery to your friends and family. Your GP practice holds copies of your patient health record electronically and in paper format. Both contain the healthcare information about you that your GP needs including your medical history, medications, allergies, immunisations and vaccinations. If you have previously registered with a different GP in England, upon registering at this practice your electronic health record will, where possible, be transferred automatically from your previous practice through the use of an NHS system called GP2GP. Monday 8.30am - 6.00pm, Tuesday 8.30am - 6.00pm, Wednesday 8.30am - 6.00pm, Thursday 8.30am - 1.00pm, Friday 8.30am - 6.00pm. New patients are always welcome and we aim to provide a personal, friendly and professional service to all our patients in the Sheffield S10 area. We offer a variety of GP and Nurse appointments to suit our patients and aim to offer same-day appointments as well as appointments up to 3 months in advance. There is a lot going on in the NHS, especially in England. You may have heard or read about some of the changes and pressures the service is facing. We want to make sure you have the full story and know how to have your say. To find out more please click here. This guide pulls together key information, provides links to other useful sites, and explains what the British Medical Association, representing UK doctors and medical students, think about it all. How do I know what NHS services I need? There are many different ways to acccess NHS services in Sheffield. To help guide you through the most appropriate route for treatment for different conditions, NHS Sheffield have produced a Choose Well (please click here to view) guide to services available in our city. This should point you in the right direction and avoid unnecessary 999 calls and/or A&E attendances. Please look at this before you make an appointment, visit A&E or dial 999. To view the latest report from our Patient Participation Group along with the results of our latest Patient Questionnaire, please click on the Patient Participation Group link in the Main Menu, or click here.